I went to this one spot below where the statue is to pickup an item up and spent the next 20 minutes taking out bad players, blissed players and blissed animals who changed from bears to deer, foxes, wolves and eagles right before your eyes. Check out the guy hanging from the pole when I blew him out of a truck. At 7:40 a cougar gets tossed into the air by a bear. Ok, I now got it as well. Got 20% off ($47.99) at GMG using the coupon code NEW20. Good, same price we go it at. You have to play for an hour or so to complete some campaign to unlock CoOp. Here's Bojac and I doing missions, last night. 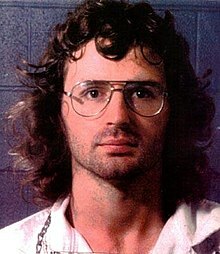 Did anyone else happen to notice the uncanny resemblance to David Korsch from Waco to that of the main leader guy right down to the shape of his glasses? She is one tough cookie; it took me almost an hour to get rid of her and I offer a few tips when you go up against her. When she spawns there are multiples of her; look for the one that has colored leaves swirling around her; that is the real one, use C4, dynamite as it will also take out the "Angels that are also trying to get you. There is only a single rock in the center with two med kits and two ammo boxes; run in a circle to avoid her attacks; by using explosives or whatnot you kill off the Angels and the duplicates of her. Once you kill her and get past the cut scenes you then have to do a mission to save the Sheriff (kinda like a maze in the bliss); then you must destroy the underground lab producing the bliss, opening many airlocks with bad guys waiting to shoot as soon as you open it; use explosives of any type when possible, shoot gas cans etc.. watchout for the shooting flames of gas as you must time your movements; at least three to four levesl of this. The explosions can throw your aim off as well. Downloaded last night. Played some today. So far pleasantly surprised. Feels like Farcry of course. But runs well enough and plenty of non-PC jokes sprinkled into the landscape. Level designers and "ambiance" folks had fun sprinkling little jokes and such throughout. Takes it self more serious than Blood Dragon of course but still fun so far.